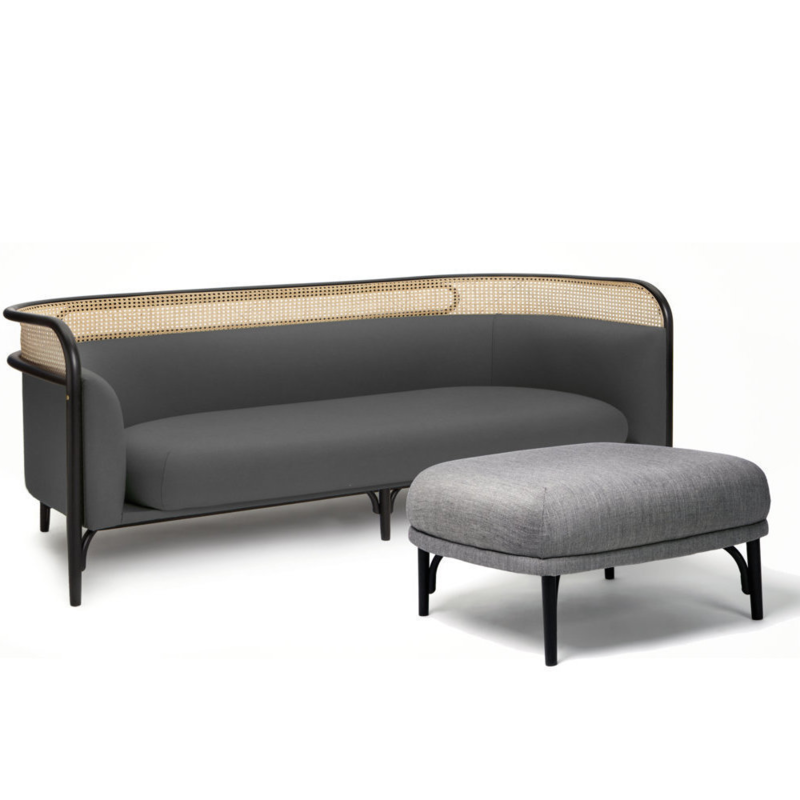 A two-metre long sofa and footstool have been added to TARGA, the upholstered collection by GamFratesi, thus reaffirming the precise idea of comfort which inspired the designers behind this collection. 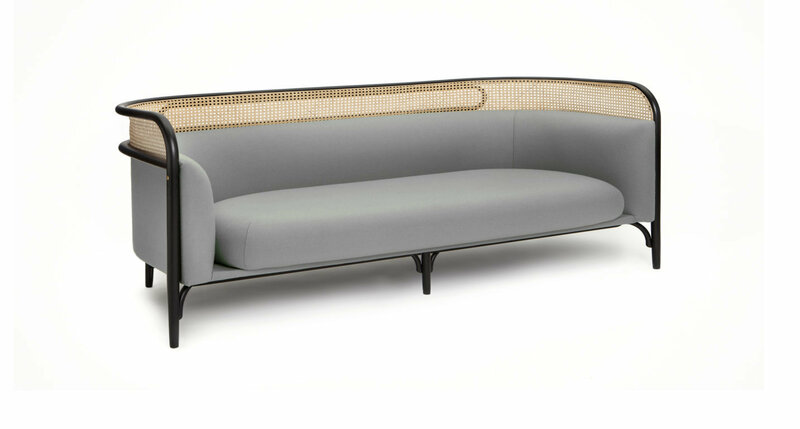 In TARGA, all the tradition features of GTV appear: the bent beech structure holds the wide seat cushion and the padded backrest has a woven cane edge with an ellipsoidal element, the plate, (TARGA in Italian) after which the design is named. W 78.7" x D 33" x H 30"